Create a play Passport for a make-believe adventure or bring along for a favourite toy on a real air journey. Stack the coloured and white paper (or cut up pages from an old map) and cut into a rectangular shape. Fold the rectangle in half like a book. Write "PASSPORT" in black letters on the front and go over the letters with gold pen. 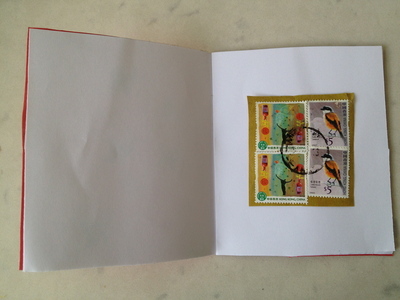 Stamp a picture with a rubber stamp on the front. Cover the outside of the passport with clear sticky back plastic. 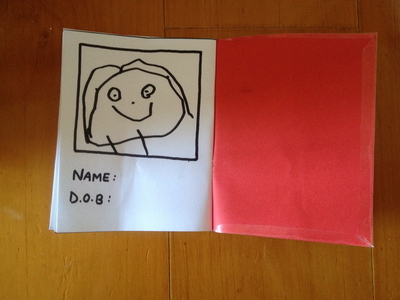 Draw an identification page inside the passport. Have fun going on an imaginary adventure and collect rubber stamps from the pretend passport station. You could also try sticking in real franked foreign stamps.